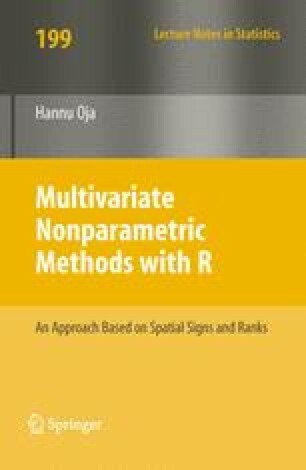 In this chapter the concepts of multivariate spatial signs and ranks and signed-ranks are introduced. The centering and standardization of the scores are discussed. Different properties of the sign and rank scores are obtained. The sign and rank covariance matrices UCOV, TCOV, QCOV, and RCOV are introduced and discussed.